Just some of the parting comments of last year’s visitors to The Tivoli Theatre Snow White Panto last year, and no matter how mature we get, we still get a real buzz out of the traditional Christmas Panto at The Tivoli Theatre…..so much has changed in our world……yet the one constant is our Christmas traditions…..thanks to The Tivoli Theatre the next generation can carry on the annual pilgrimage to worship theatrical Gods such as Sammy Sausages AKA Alan Hughes and Goddesses such as the world famous Niamh Kavanagh as the Good Queen. After his fantastic performance in Snow White last year, Alan Hughes returns to The Tivoli Theatre, Dublin, as the lovable Sammy Sausages ... Whatever you do, don't miss this fun-packed Tivoli family pantomime 2012. One might ask if there is no end to the talent and vision of those associated with The Tivoli Theatre as only a couple of weeks ago The Tivoli teamed up with The Irish House Party to bring a new dynamic to the world of traditional Irish music and dancing. This year’s Christmas Panto at The Tivoli Theatre is already being billed as the best show in town by those who love theatre and the annual serving of all that is great about the traditional Christmas Panto in Dublin. Starring Alan Hughes as the lovable Sammy Sausages, Brian Dowling as Bridie the Mirror, Niamh Kavanagh as the Good Queen and Niall Sheehy, finalist in ITV’s Superstar, this is one Panto not to be missed! The Tivoli Theatre, 135-138 Francis Street, Dublin 8, Ireland. For those of us who were reared on the finest of Irish traditional music, dance and folklore there can be nothing more disappointing than the often ‘plastic’ portrayal of those fine traditions by commercially centred enterprises to pander to a less than patriotic version of our traditions and nationhood. 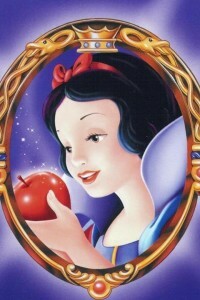 However, that is all about to change, and for the good. Often, as I have reviewed the hospitality industry in Ireland, I have been pained by scratchy CD representations of Irish music, I have been unhappy to watch tired Irish dancers ‘perform’ their third ‘tourist’ show of the day. Finally, there is Celtic light at the end of the dark tunnel of gross commercialism. On Thursday the 20th of September 2012, The Irish House Party nestled in Francis Street, Christchurch, Dublin and twinned with the Tivoli Theatre, launched the revival of traditional Irish music and dance in all its glory. Gone are the big blasts and fads of the Riverdance era and its substitutes, and returned are the soft furnishings, and cosy surrounds of a Traditional Irish House Party. The launch of the Irish House Party kicked off with a food and drink reception in the newly refurbished Irish House Party bar and restaurant at No. 19 Francis Street, Christ Church, Dublin 8. Parking is available both at the Tivoli Theatre Car Park in Francis Street, and on-street parking is also available (FREE after 7pm). The Irish House Party Bar and Restaurant have been renovated to a high standard and presenting guests with an ambiance that is both welcoming and traditional, in the finest sense of the word traditional, the glowing charm of soft tones and traditional furnishings make the Irish House Party Bar and Restaurant a unique home from home experience. The Irish House Party staff are professional, courteous and offer all that is so often lost in our once famous Cead Mile Failte. Unlike the often stand offish performers one fines at large commercially driven venues, at The Irish House Party, Ireland’s champion musicians and performers casually introduce themselves around the tables and sit for some banter if so invited to do so. 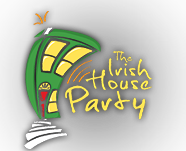 The Irish House Party presents as one thing above all else, a labour of love, it is clear that this is a partnership born out of love for all things Irish, a passion to wrestle Irish culture and tradition back from the grasp of brute commercialism. As dozens of guests filled out the restaurant on the first floor, the air filled with an aroma of traditional Irish food, Dublin Coddle tickled at the nostrils, as beef and Guinness stew titillated the very soul of all gathered. 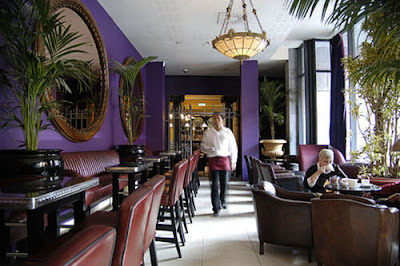 The food was of the highest standard and would have sat easily on the menu of Dublin’s finest Restaurants. While this was a night of all things Irish, the wine connoisseur was not to be disappointed, with Findlater (wine supplier of choice) providing such suburb choices as Tocornal Sauvignon Blanc and Tocornal Cabernet Sauvignon, just to mention two. And what would an Irish night be without Murphy’s Irish Stout, Murphy’s Red Ale, Beamish Irish Stout and so forth, all of which combined to make a great meal, a world class experience. Following food, drink and banter in the Irish House Party Bar and Restaurant, it was time for the 8.30pm show in the Tivoli Theatre. Many will know the Tivoli Theatre for its long service to theatre and music in Ireland. As I walked along the tunnel entrance, I was moved by the diligence of the Tivoli owners to maintain nostalgia with what was clearly a ground breaking partnership between the Irish House Party and the Tivoli Theatre. Once inside the Tivoli, the bar area is nicely set out with traditional seating and a home from home atmosphere, again, staff are both helpful and courteous. The real surprise comes when one steps through the curtain as it where, and enters what at first glance appears to be someone’s sitting room, that has allowed, friends and neighbours to drop in for a session. The stage replicates a traditional Irish sitting room, with pine dresser and couches setting the scene. The main body of guests are seated directly in front of the stage, the stage meets guests at head height while seated, making the guest feel as though they are part of a traditional Irish session rather than part of a concert audience. The line-up of musicians and dancers is a ‘Who's Who’ list of the best Ireland has to offer. The casual stage setting makes the audience feel relaxed and at home, the banter, folklore and organic conversation between the session musicians and dancers adds an authenticity rarely if ever seen in modern representations of the Irish traditional session. Soon the Theatre echoed with the haunting sounds of hundreds of years of all that is good about Irish Culture and Tradition, music and song were not only played but explained, instruments were not a mystery but visualisations used to explain their time and place in our long rich history. Three hundred year old tunes, that made Leonardo De Caprio and Kate Winslet famous in the great epic Titanic, captured the hand and foot stamping mood of the guests gathered, Bono and U2 echoed from the traditional instruments as easily as the lyrics written by 1916 Patriot and Irish hero Padraig Pearse. A straw poll was taken before the bazooka and its player told a strange story about a well-meaning rugby player, and this was followed by Gerry telling a story in song, about a yellow haired girl, who may not have been all that she first appeared. This session with the Irish House Party was as much about music appreciation as it was about concert and performance; time was taken to explain the instruments, the songs, the dance and the music. The dancers stepped up from the couch causally and periodically, to perform what can only be described as dancing Gymnastics, the dancers reminded the audience, that one does not have to be on a big stage with multi-million Euro backing sets to perform and transcend the very essence of Irish Dance. Following rapturous applause from the guests gathered, many from America, New Zealand, our own Fair City and other parts of the world it was time to return to the Irish House Party Bar where yet more musicians had gathered to beat out a crescendo of tunes that seen even the most restrained, foot-tapping, hand clapping and singing along with the memories stoked by a timeless echo of ancient tradition. If you are looking for something different for your company Christmas party this year then The Irish House Party Christmas Ceili is the perfect option. For the whole month of December we will be hosting our special Christmas Irish House Party shows. The Irish House Party Christmas Ceili with All-Ireland Champion musician, dancers and entertaining presenters. The boutique Trinity Capital Hotel is a 2-minute walk from Trinity College. It offers the Cafe Cairo restaurant and bar and large rooms with flat-screen satellite TVs and internet access. The stylish rooms at the Trinity Hotel are decorated in rich colours and walnut wood fittings. Rooms include laptop safes, full-length mirrors and bathrooms with baths, power showers and fluffy towels. Some rooms have panoramic city views. The open-plan restaurant has huge floor-to-ceiling windows and serves light lunches and coffees during the day. There is an evening dinner menu and a heated outdoor terrace area. There are several opulently furnished lounges in the hotel for guests to relax in. The Temple Bar district is just a 5-minute walk away and the hotel has a 24-hour reception. There is a DART Station at Tara Street just a one minute walk from the Trinity Capital Hotel.